Here at TracyandMatt we entertain every gadget that comes our way, someone, somewhere will be interested. Every once in a while a product pops up that isn’t really tech related but for the greater good we have to knuckle down and experience the product, up close and personal. Take for example, beer. One of the most important staples in many of our lives and we are so dedicated to our responsability we will risk everything to report back to you that a home brewing kit is good or bad. 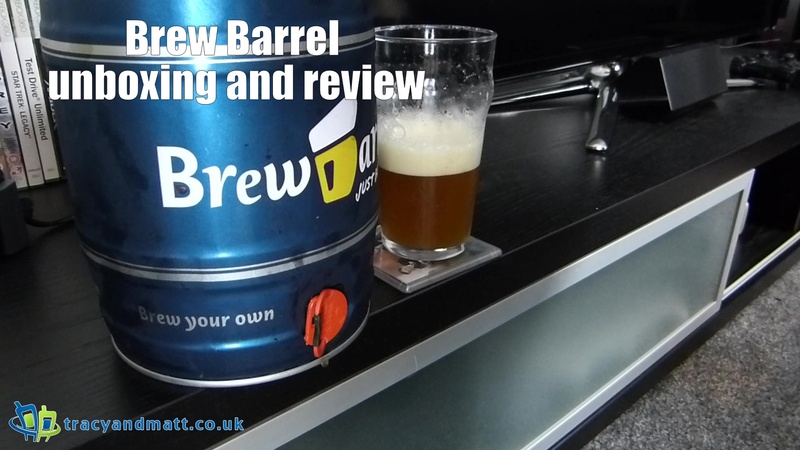 Brew Barrel are far from a one trick pony and offer a great solution to the bar at an upcoming party you might be throwing. With the ability to brew 5 litres of Pilsnser, Lager, Wheat beer, Pale Ale or Dark Beer infused with a flavour of your choice, be it Oak, Bourbon Timber, Lemon Grass, even Raspberry and Hersbrucker are on the long list of additions in one go there is certainly a lot to choose from. Keeping the price to £25.00 per barrel with an additional flavour between £1.50 and £3.00, this £30 solution works out charger than the cost at the pump in your local (depending on your location) and you have the satisfaction that “I made that.” The Brew Barrel kit is easy to follow, well thought out and pleasant to put together. Check out Brewbarrel and order one!